The Dorothy F. Schmidt College of Arts and Letters is the home to the Jewish Studies academic degree program. The program is housed in the Department of Languages, Linguistics, and Comparative Literature (LLCL) given the program’s academic foundations in Hebrew language and Jewish culture that are regular offering from core faculty members in LLCL. But, the program is interdisciplinary and interdepartmental, with a curriculum delivered by other core faculty members from across the college. The program promotes the academic study of Jewish culture, society and religion for all students at the University. Through the Jewish Studies Program, students may train for a career in the Jewish community or in Jewish education, learn about Jewish issues and opportunities for Jewish public service, and develop a deeper understanding of American and world Jewry, as well as enhancing a degree in the humanities or social sciences with a certificate or a degree in Jewish Studies. 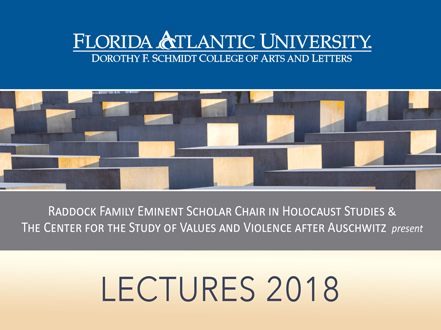 Through course work, students may study areas such as Jewish Civilization, History, Israel, Holocaust Studies, Arts and Culture, Religion, Politics and Social Issues. Undergraduates may major or receive a certificate in Jewish studies. 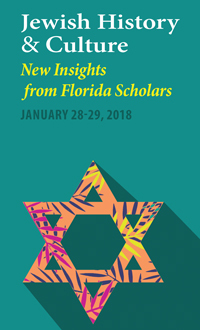 The program may serve as preparation for graduate work in Jewish studies, as background for a career in Jewish education or community service, or as an area of special interest that will enrich the undergraduate experience. Students may combine the Jewish Studies major or certificate with other majors and go on to professional careers in law, medicine, journalism, business or other professions. Moreover, since dynamic contact with many other religions and cultures influenced the development of Jewish civilization, students study Jews and Judaism within the broader context of dominant societies and the spectrum of the arts, humanities, and social sciences. Students are expected to develop as critical thinkers, aware of the diversity and complexity of the field. The center promotes a broad and comprehensive approach including the arts, politics and religion. The curriculum emphasizes historical transformations and comparative frameworks among various Jewish communities and with other groups and religions.